NN or Nationalnyckeln is a Swedish biological encyclopedia. This is one of the most interesting volumes, unfortunately only available in the Swedish language. It covers all Nordic species of ants, scoliid wasps, potter wasps, paper wasps, hornets and yellow jackets. In more scientific terms: Formicidae, Scoliidae, and Vespidae (subfamilies Eumeninae, Polistinae and Vespinae). The species presentations include sections on identification, behavior and range. It also includes information of primary use to taxonomists only. Thus, we learn that Strongylognathus testaceus was first described by Shenck in 1852 in the venerable publication Jahrbücher des Vereins für Naturkunde im Herzogtum Nassau 8:117. I mean, who knew? There is Technomyrmex difficilis, a “tramp ant” originally from the tropics (the type specimen is from Madagascar) but apparently reported from Swedish greenhouses, too. The black garden ant (Lasius niger) is easily one of the most well known ant species in Sweden, and yes, they really do invade people's homes and literally steal candy and sugar! You can take that from me, I'm a veteran from several wars with these creatures. 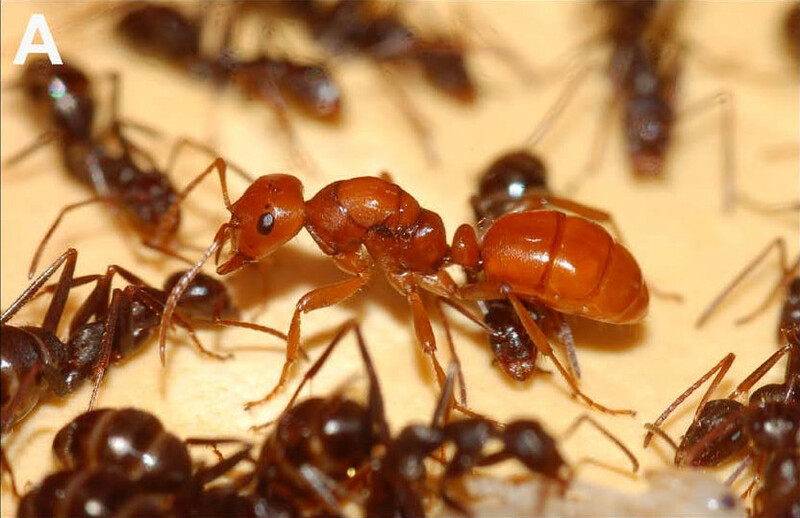 The European Amazon ant (no relation to Jeff Bezos) is a spectacular “slave-making ant”, while the Pharaoh ant is busy colonizing European hospitals (provided they have a central heating system!) and even slips into syringes… There is also the Shining Guest ant, a small species which forms colonies inside anthills of other, larger species. As for the hornets, I note the absurd fact that the authors of this encyclopedia refer to the European hornet (Vespa crabro) as a “gentle giant”. Ahem, the one's I encountered were anything but gentle, although I'm willing to concede that they were indeed gigantic (even for hornets). Despite the gentle giant gaffe, I'm nevertheless willing to give this volume, believe it or not, five stars. Welcome to the Planet of the Ants, Swedish satrapy.